Quality, customizable features for your comfort and convenience. The Commons is an age-restricted community of adults aged 55 years and older. 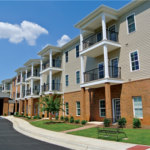 The Commons stands apart from typical active adult communities, offering its members an affordable senior community with a la carte service options and community amenities that include a local partners program, concierge services, a Happenings calendar of events, and several community spaces. 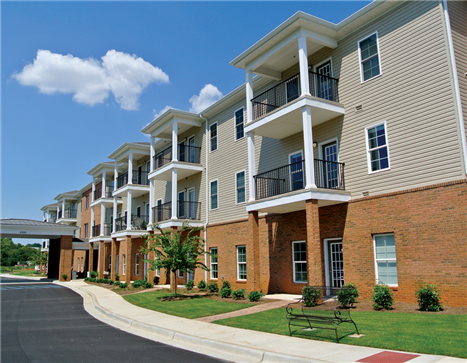 The Commons offers one and two bedroom apartments in four floor plans. A stress-free, maintenance-free lifestyle with the freedom to do the things you love. At The Commons, you live Your Life, Your Way. Our a la carte service options allow members to choose the services they want, when they want them. A la carte services include monthly cable, telephone, and internet packages, hourly housekeeping, personal assistant, and personal maintenance support services, on-site meals in Country Cottage’s Ivy Cafe, parking options, and flexible lease options. A variety of a là carte services that suit your lifestyle. MAKE THE COMMONS YOUR HOME TODAY!